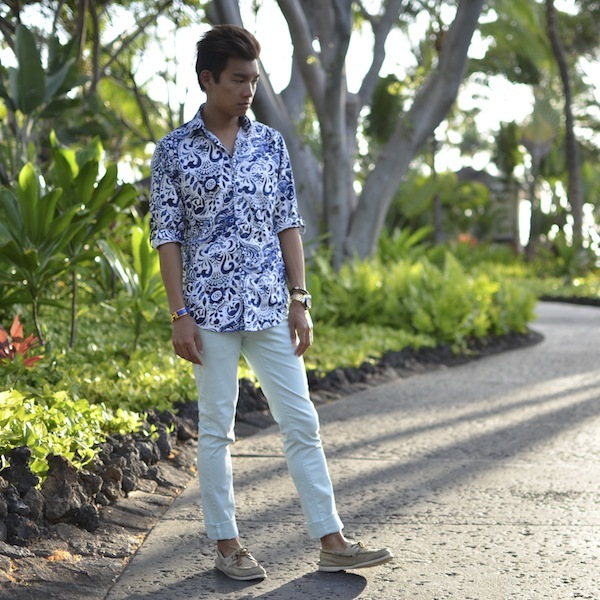 This is my last post from Hawaii and also happens to be one of my favorites from the trip. 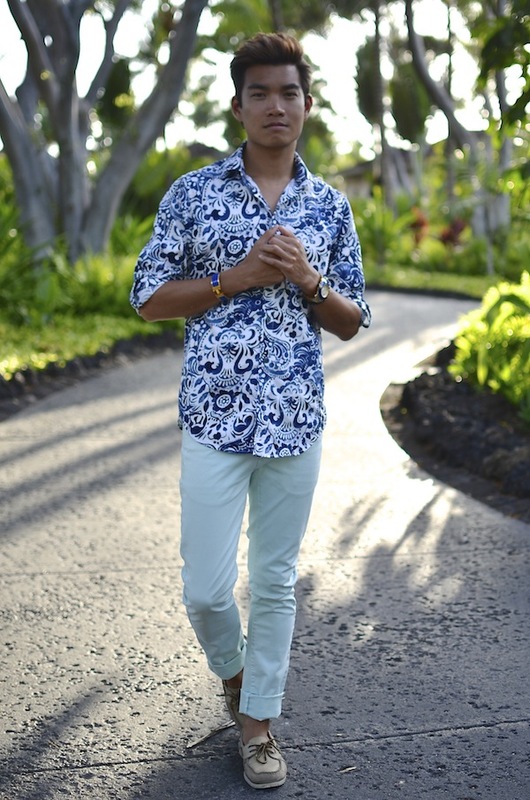 En route to dinner, I stopped along the way to snap these shots in the beautiful grounds of the Four Seasons Hualalai. 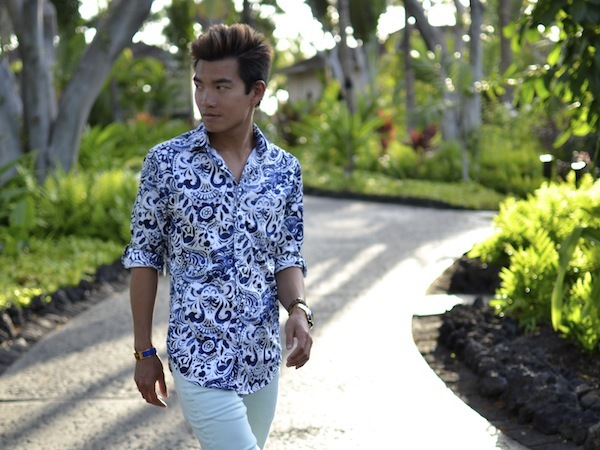 This resort is absolute paradise, ranked as one of, if not the best resort in Hawaii. 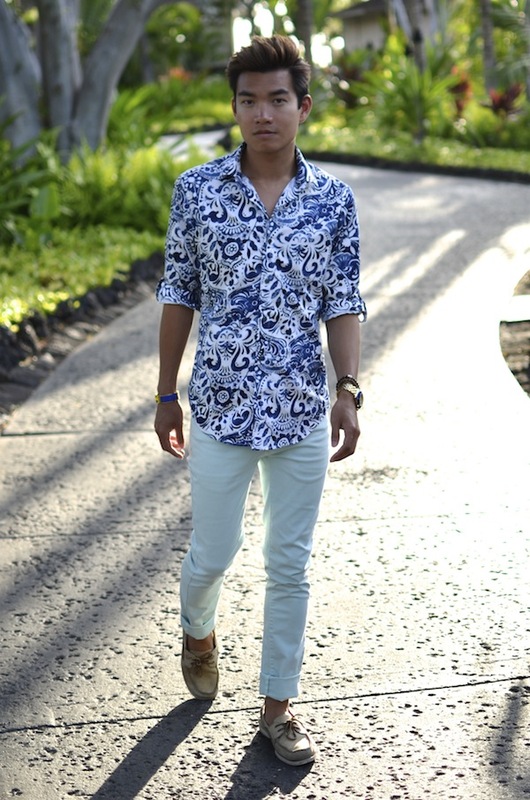 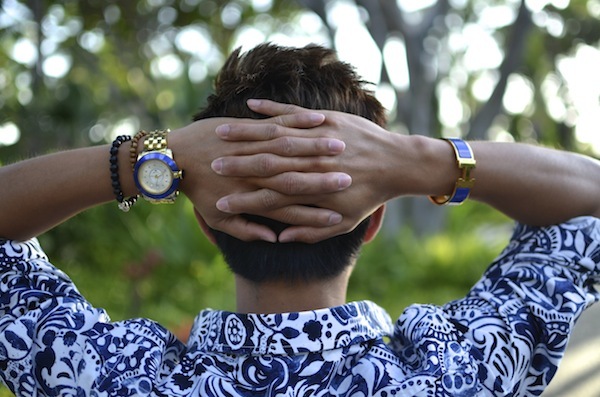 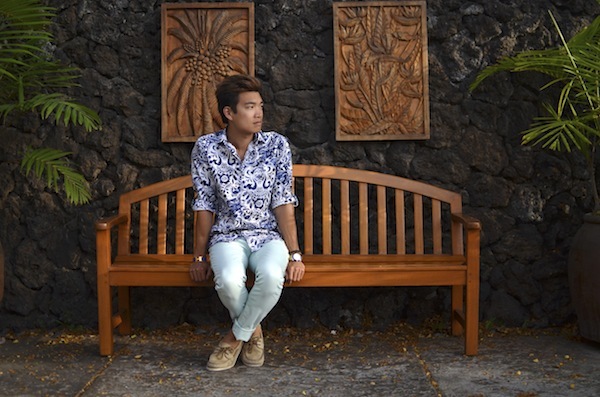 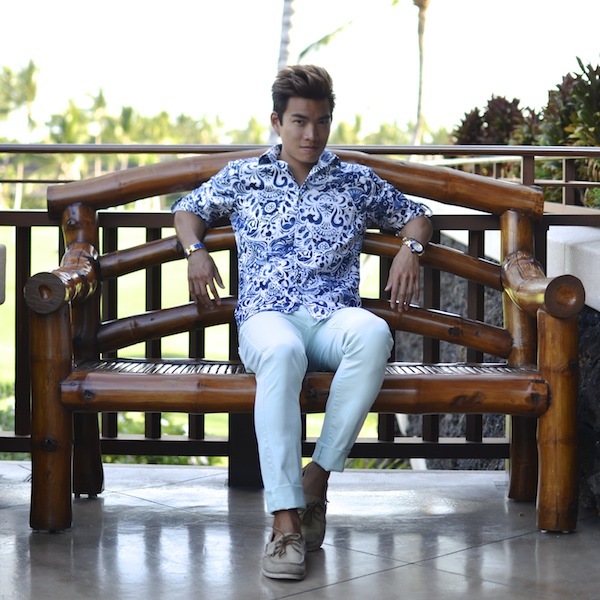 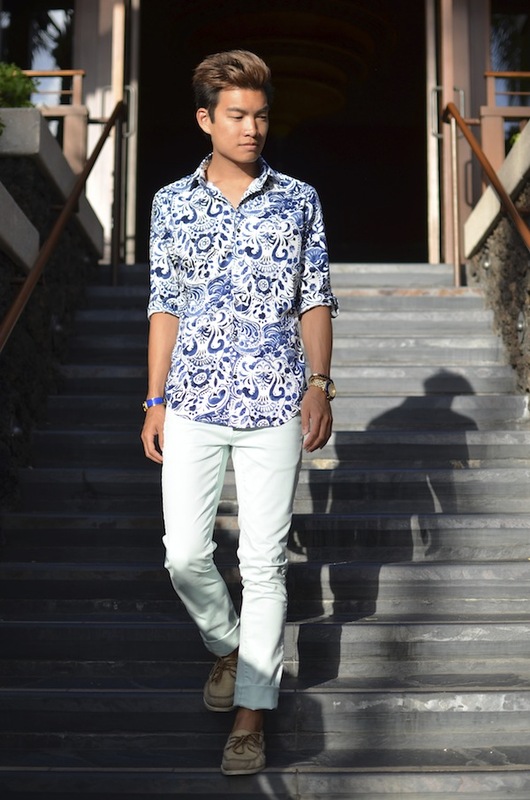 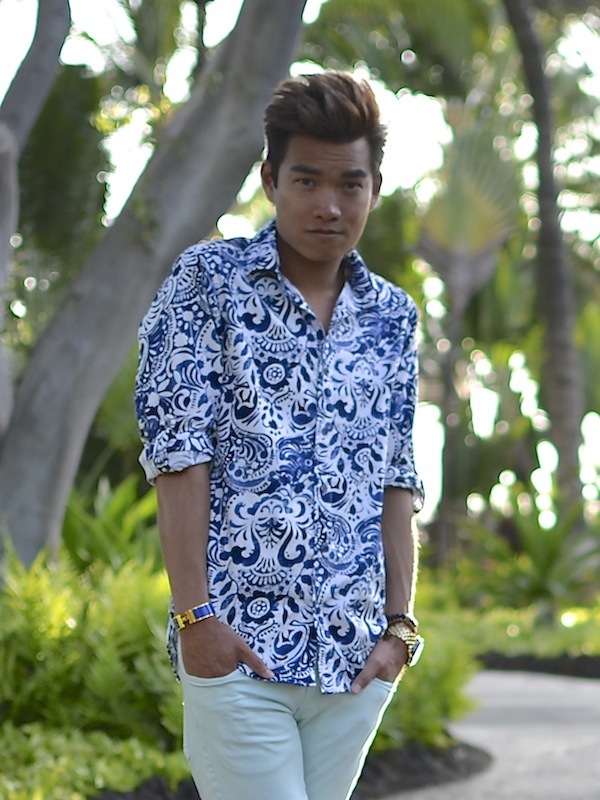 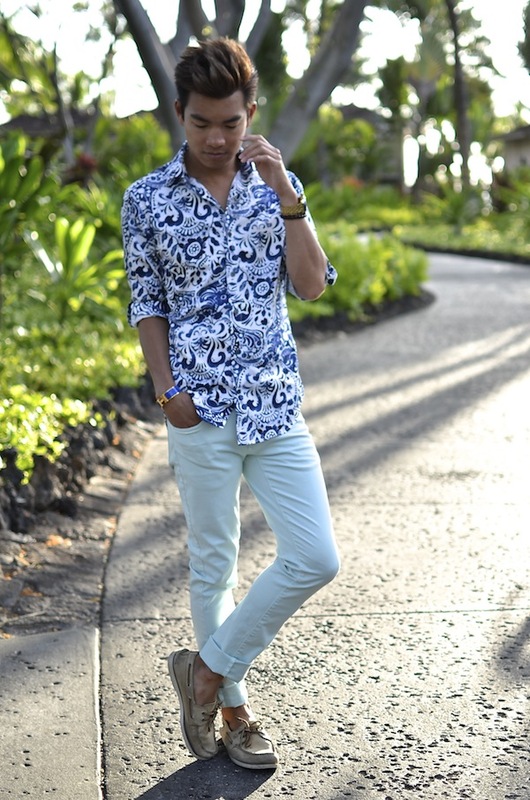 My look was all about the blue printed shirt, matching minimal accessories to complement and fading into mint pants. 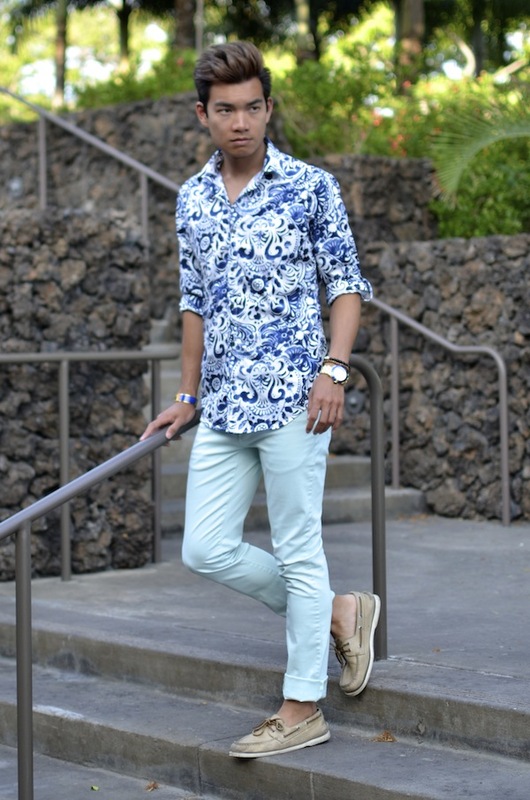 It’s not so easy to dress up in hot weather, but I still wanted to make a style statement.